A Coca-Cola protein shake? Seriously? You’re telling me the manufacturer of a soft drink (that can clean the gunk off a car battery, mind you) has invested in something that’s actually beneficial for me to drink? Never did I think I would see something like this. 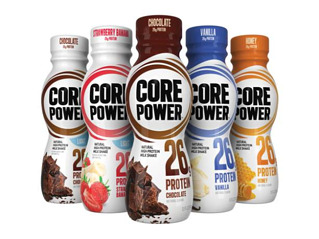 For those who have absolutely no idea what I’m talking about, the Coca-Cola Company has partnered with Fair Oaks Farm Brands to assist in the branding and distribution of a protein shake called Core Power. No, it is not Coca-Cola flavored. It’s vanilla, chocolate, or strawberry, and so on, just like the other protein shakes out there (and honey-flavored, which I found interesting). I personally tried the vanilla flavor. One word: delicious! And why wouldn’t it be? Coke’s primary objective is to make its products taste good. Well, they have succeeded once again in supporting this new drink. Protein: It’s a protein drink. Of course this tops the list of things to look at. Compared to the protein shake I normally drink (which shall remain under anonymity), it has only about half as much protein. We’re not off to a good start. Sugar: Protein shakes are not always known to have the best taste, so a little sugar to sweeten things up isn’t the end of the world if it’s going to help you drink it consistently. However, Core Power has a huge serving of sugar. 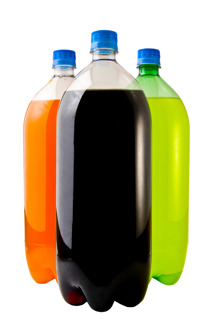 In one 11.5-ounce bottle, there are 26 grams of sugar, compared to the 2 to 3 grams I get with my normal shake. Carbohydrates: Although it’s not as bad as the sugar, the carb count is much higher in this shake than in comparable serving sizes of other brands. Protein: I know, I already mentioned protein, but this is a different topic concerning protein. I’m not denying the fact that there are 26 grams of protein per serving. However, I wanted to point out that I don’t think it’s necessarily “good” protein. Under the ingredients, I don’t see the words “whey” or “casein” anywhere. These can often be signs of a quality protein shake. Not that the protein included in Core Power is negative, it’s just not quite as beneficial as other types. In conclusion, I unfortunately will have to give Core Power a sad thumbs-down. It just tastes so good, though. It’s like an ice cream shake (see my comments on the sugar above). Perhaps it could be a good “gateway” protein for those new protein users out there. It will get them started on protein consumption, but then they can lean toward using the more beneficial versions once they get their routine down. Sometimes you gotta do whatever works.